The load sensor also comes as standard in Avant 500 series. 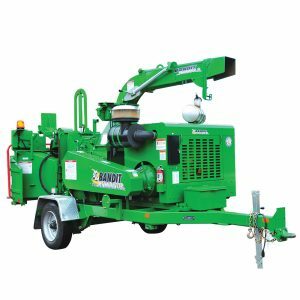 Audible warning signals are heard if the rear wheels are about to lift off of the ground, warning the operator immediately should he, for example, inadvertently move the load away from the machine with the telescopic boom. Working with the machine is very easy and logical. Cockpit ergonomics is well thought out and all controls are well positioned. Hydrostatic transmission guarantees smooth and exact driving. The machine can be controlled very exactly both on low and higher drive speeds. Avant 500 series comes as standard with a tested and certified ROPS safety frame, which is a four post structure which really protects the operator, for instance when driving backward and accidentally hitting an obstacle. The ROPS frame and the optional FOPS canopy are tested and certified and comply with the relevant ISO standards. The two-point seat belt is standard feature as well. Avant is equipped with a precise and light to operate hydraulic power steering. Thanks to this the machine is easy to control in all situations. The outside turning radius of Avant 500 series is only 2,47 m which means they can work in tight situations as well. 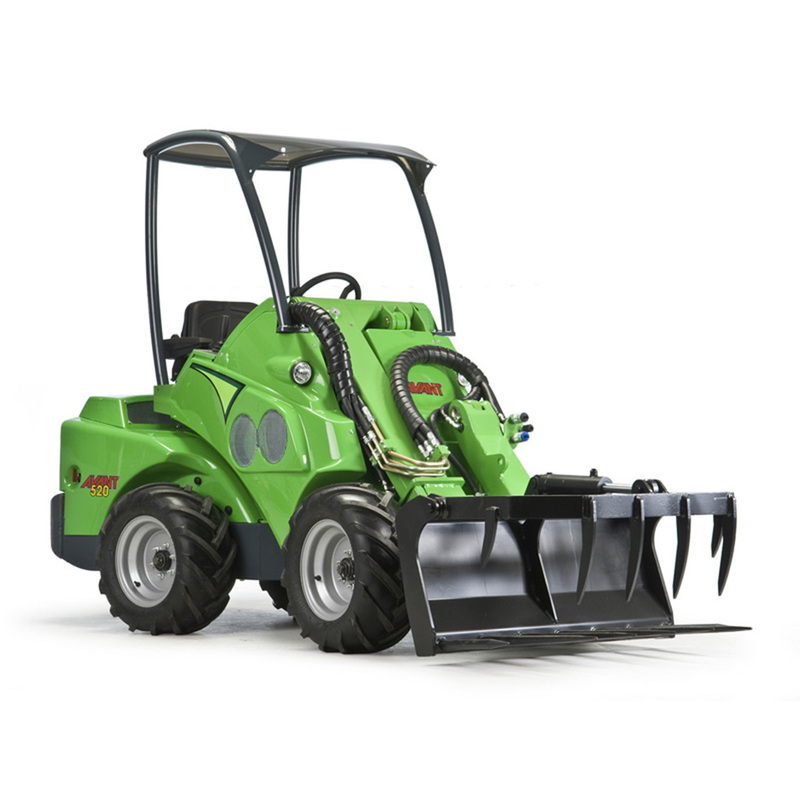 Avant 500 series, like all Avant models, is equipped with a double acting auxiliary hydraulics outlet in the front, which is very powerful for a machine of this size. 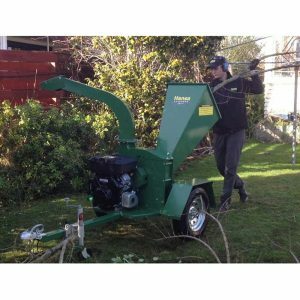 This makes the Avant a real multi purpose machine and allows a superior attachment range with over 100 different attachments. Hydraulic oil cooler comes as standard. 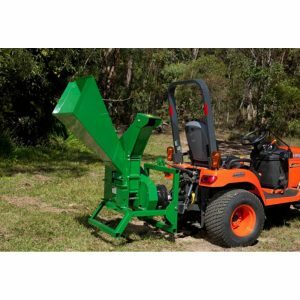 It is a very important equipment for conditions where the attachments are being operated continuously for a long period of time in high ambient temperatures – like the trencher, wood chipper, rotary hoe or lawn mower. When equipped with telescopic boom, one has good reason to say that Avant 500 series is actually an articulated telescopic handler. 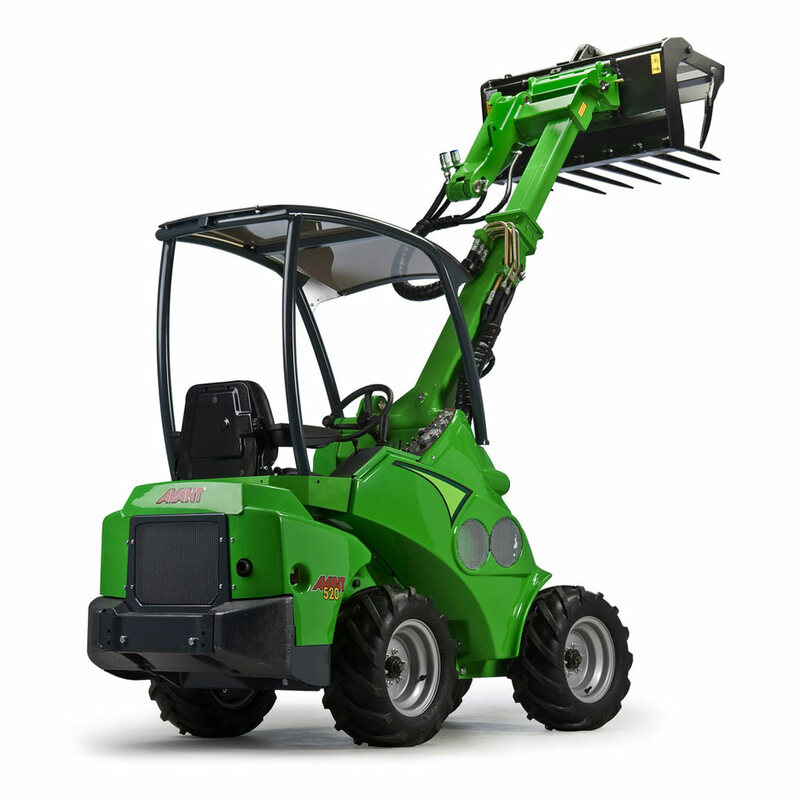 Lift height, lift capacity, outreach and load control are superior in their class. Thanks to the off centre boom construction Avant driver has an excellent field of vision to the working area and to the attachment. He doesn’t have to reach out to see. Avant driver always sees what he is doing and where he is going. Quick attach system makes changing of attachments very fast and easy. For example, taking off a bucket and attaching a backhoe or lawn mower happens in just a couple of minutes. The optional boom self levelling facilitates load handling, especially handling of pallets a lot. Hydrostatic transmission is not the cheapest of solution, but it is the best for this type of machine. Thanks to the hydrostatic system drive control is excellent: the machine moves very precisely without rushing, and pulling force is very good throughout the whole drive speed range. 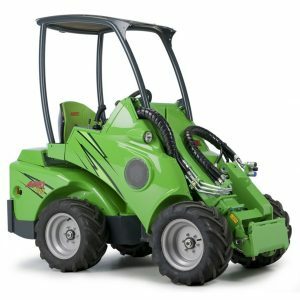 Avant 500 series can also be equipped with an anti slip valve (a hydraulic system similar to a differential lock) which further improves all terrain capabilities and driving on soft grounds. Hydrostatic transmission is also – except hydraulic oil and filter changes – service free. From the complete options list you can select the equipment you need for your Avant. This optional equipment further improves work efficiency, ergonomics and operator comfort. You can tailor your Avant to suit your needs and working habits. Different cab and seat options improve operator comfort. Work is more efficient when you have the telescopic boom, self levelling, drive release valve and extra counterweights on the machine. Familiarise yourself with the options range and build your own Avant. Rigid articulation joint has always been the trademark of Avant. Thanks to this rigid design tipping load is much higher when the chassis of the machine is in articulation. This also improves stability and performance of the machine considerably. Avant is therefore well known as a very stable machine. 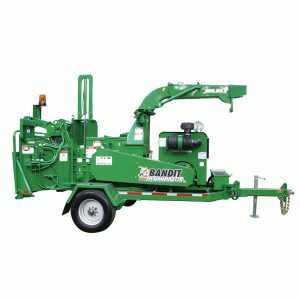 Avant is designed so that attachments can be mounted either on the front of the machine on the quick attach plate, or on the rear. Most of the attachments are mounted on the front, directly on the field of vision of the operator. 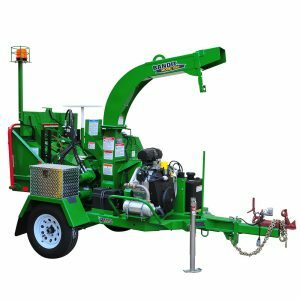 Some attachments can also be mounted on the rear of the machine thanks to the optional rear auxiliary hydraulics, rear lifting device and trailer coupling.